One style of flooring that is not new but is experiencing a renaissance is Parquet floors. Jamie Beckwith of Beckwith Interiors is at the forefront of bringing this style back in vogue. Her recent win for Interior Design Magazine’s flooring of the year has brought this style back into the limelight. 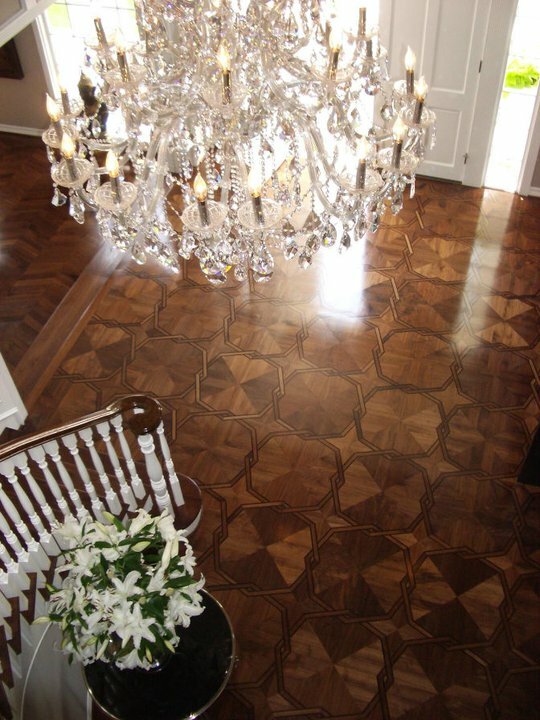 Another innovator for this style of flooring is Anatoli Efros of Parquet by Dian located in Gardena, CA. He’s been making high end parquet floors in Southern California for many years. His project list indicates how this style has been sought after by the upper echelon of society for several years. 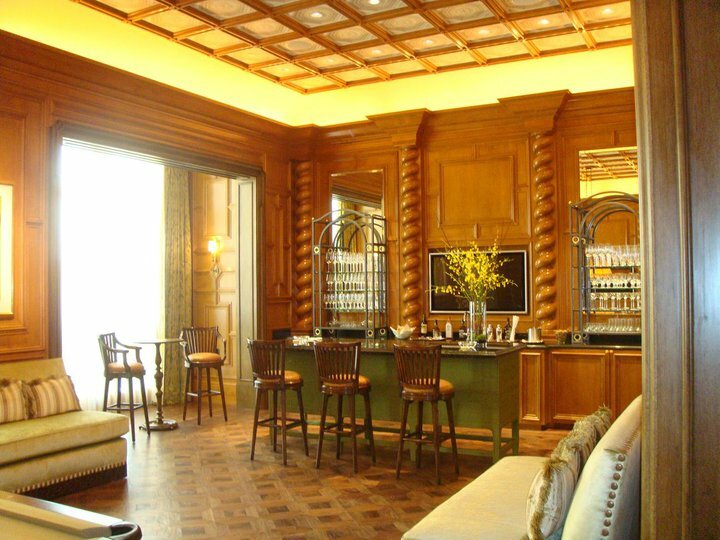 His parquet wood floors have been used in Wynn Hotels, the Bellagio, Caesars Palace, numerous Ritz Carlton locations as well as Steven Speilberg, Derek Jeter and Giorgio Armani and the Queen’s Royal Palace in Bangkok, Thailand. Parquet wood floors are geometric designs utilizing small pieces of wood of similar or contrasting color and grain. Parquet floors can be as simple as herringbone designs or as ornate as the Roulette pattern shown above. Parquet inlays, or small areas of designed inset patterns into larger areas of standard flooring, are becoming increasingly popular particularly as insets in entryways or other focal points in homes. In the US when you mention parquet floors most people probably think of Boston Gardens and the Celtics. The Celtics played on an iconic parquet floor that was laid in a pattern of alternating perpendicular pieces of wood. Since each section of the floor responded differently, it gave the Celtics a true home court advantage. The original parquet wood floor was disassembled in 1999 and sold as souvenirs. In the 1620s, parquet wood floors were a novelty. 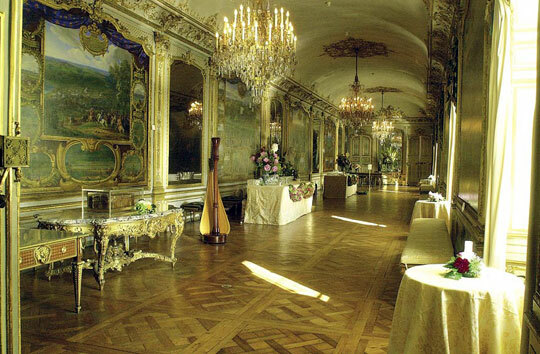 Then Queen Marie de Medici of France had an elaborate parquet floor installed at Luxembourg Palace. She sparked a trend throughout upper class Parisian society. The first parquet floor in England was installed in Somerset House in 1661 at the behest of Queen Henrietta Maria after she saw the technique employed in Parisian homes. Since then, the style has grown in popularity across the globe. A lot of these floors are very ornate and are the focal point of attention in these lavish homes. Today’s styles are a lot more subtle and have less variation in color between the woods used. This is seen in Jamie Beckwith’s award winning design which uses monotone walnut pieces. Suffice to say, homeowners are in the coming years are likely to go with a more subtle and understated look than the floors of Versailles – but nevertheless, the resurgence in parquet wood flooring popularity will be here to stay for a while. This entry was posted in parquet floors, parquetry and tagged parquet floors, parquet patterns, parquet wood floor. Bookmark the permalink. 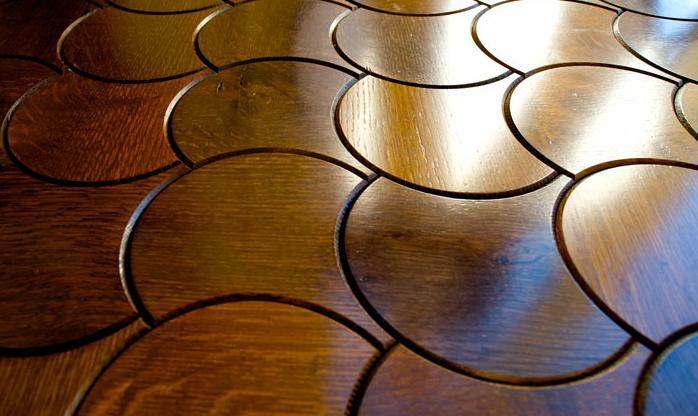 Parquet is in my opinion, the best solutions for home floors. It is durable, practical, warm and easy for maintenance. Nothing else even come close. Do you work in the wood floor industry? If so, what is it you do? Thanks for reading! Hi Sam, I am doing parquetry here in my factory near Shanghai. I noticed that you posted a couple of photos of parquetry from Domotex, Shanghai (not mine) and thought it was a pity that I didn’t catch you there. Next time please look me up.